The Dams approach is to work as an extension to our customer’s business, building a flexible and long-lasting cooperation & relationship, and working together to increase sales, margin and overall market share within the office furniture sector. 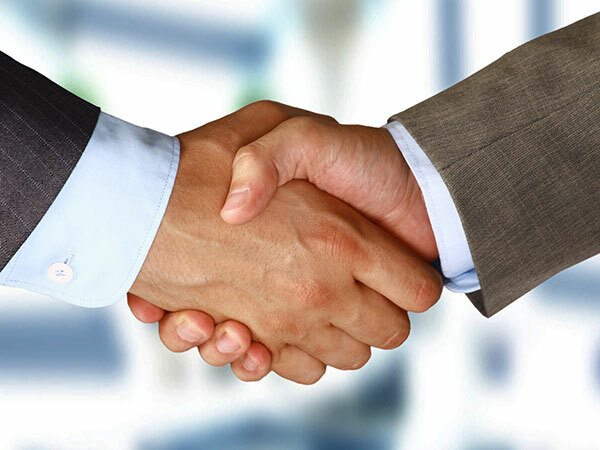 At Dams, we understand the importance of sales and marketing support. We strive to help you grow your business by going the extra mile in terms of the marketing support we offer. That's why we've developed a whole host of leading-edge marketing support and the highest level of service that we feel will give you an advantage over your competitors and gain you those important sales leads. MyDams is your online marketing support service with promotion flyers and literature available for customers to personalise with your company logo, contact information and pricing details. We offer a comprehensive portfolio of bespoke marketing materials, designed to help your business grow and to suit your business needs. We have launched an easy-to-use quoting system where Dams customers can create, send and manage your quotes through the MyDams customer portal. 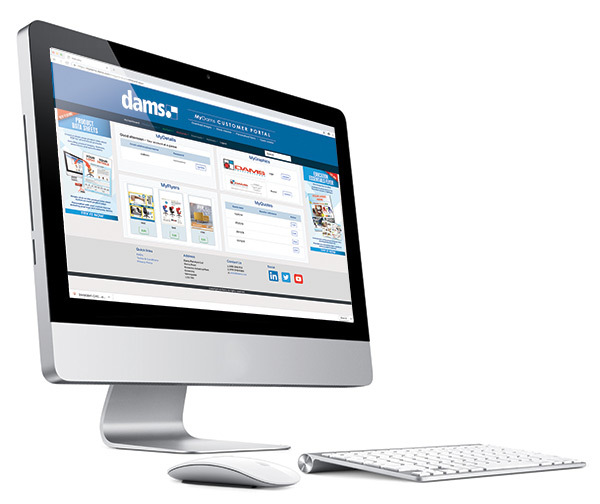 Our online stock check facility is also available to all Dams customers with stock levels updated every 30 minutes so you can use the information to make the right decisions on ordering. 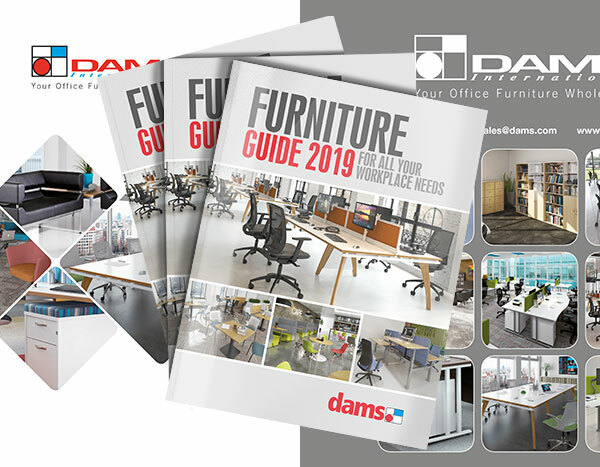 The 2019 Furniture Guide is Dams’ biggest and most exciting catalogue to date packed with over 6,500 products. Fresh, easy-to-navigate product sections are complemented by an unparalleled focus on easing the selection process for customers with innovative content, product specifications, inspirational new product photography and stunning location shots. The new furniture guide is around 100 pages larger than the 2018 catalogue, and with such a wide portfolio of award-winning products featured in the new Furniture Guide, Dams are better placed than ever to support dealers with both the products and services they need throughout the year. 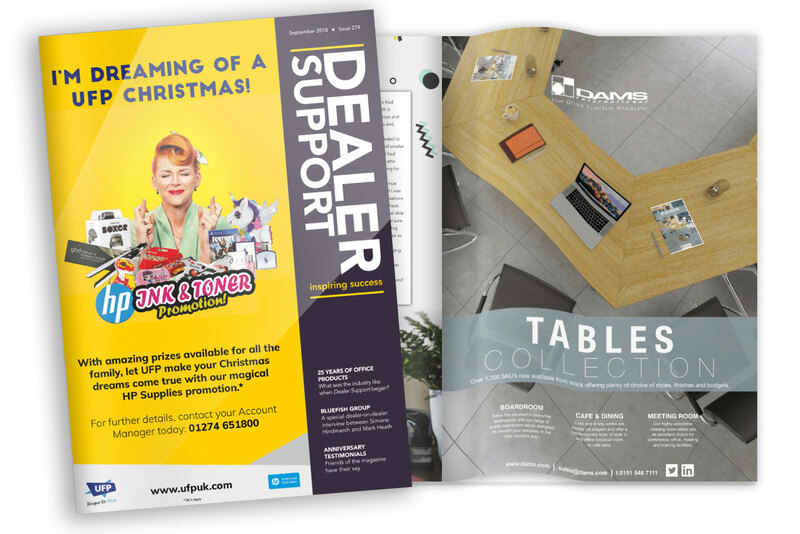 We have an extensive advertising campaign online and in office furniture trade publications every year which includes at least two full page ads every month to create awareness and visibility of new products and services. Refer to the press advertising page in the news section of our website for further details. You can also connect with us on our Dams Twitter and LinkedIn pages for the latest company news, help and advice, product information, and much more. 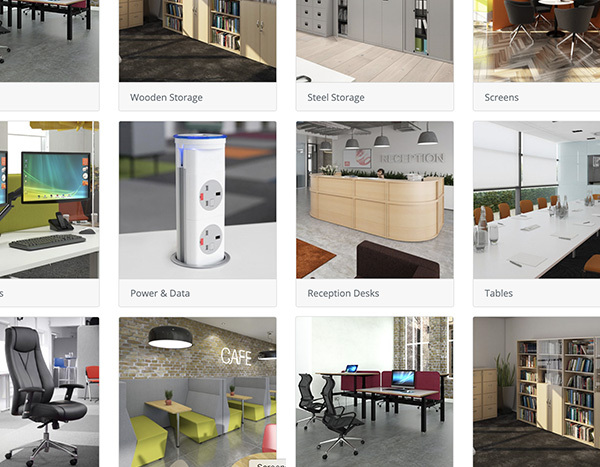 The Dams website is packed with helpful product information on our range of office furniture and is continuously updated with new content, images, new products, etc. The Dams product data, including images, product features and marketing content, is also available via Fusion Data. Please contact our marketing team at marketing@dams.com to find out more. All our product images are available to download as individual images or grouped together in a convenient zip file through the MyDams customer portal, so you can browse, save, and download beautiful images for use on your webstore, in presentations, promotions or inspiration boards.